Jonelle Patrick has done an awesome job with the writing of this book. If the reader has a very defined imagination while reading, then they will fall into this book as if they are actually there. 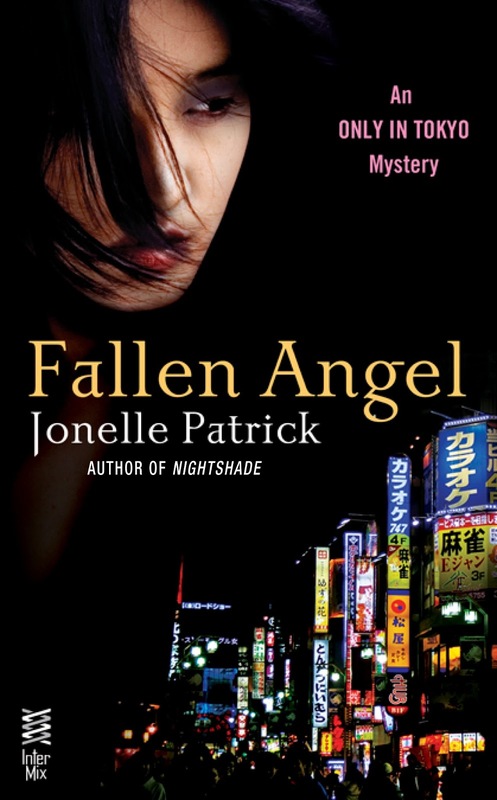 Having said that, “Fallen Angel” is where Cherry Endo’s live has ended. Kenji, the investigator is trying to determine if it were mere accident or murder. Cherry had been working as a hostess at a place called “Club Haven”. Cherry had gotten the job as a club hostess not long after getting out of school. She had began wearing very elegant dresses while working there and kept her appearance very neat and elegant. Her appearance meant everything for her to keep her job. When Kenji had seen her body at the crime scene she was missing an earring, two broken nails and only one was filed and her shoes were all scuffed up. To the normal eye, it appears that her death was an accident. However, Kenji thinks it’s a murder and going to investigate further into Cherry’s death. While reading this, you will constantly be guessing who done what? There are fast action scenes that will have you on the edge of your seat and wanting to read more. There are also romance and the mystery is so entice that you will not want to put the book down. You’ll keep reading and not want to sit the book down for anything. Each scene takes on a whole new set of wanting more and keep you guessing if it was murder or an accident. The details that Jonelle Patrick has put into this book will have you feeling like you’re living in the moment and really there seeing it all through your own eyes. This book was received for my honest thoughts and review.